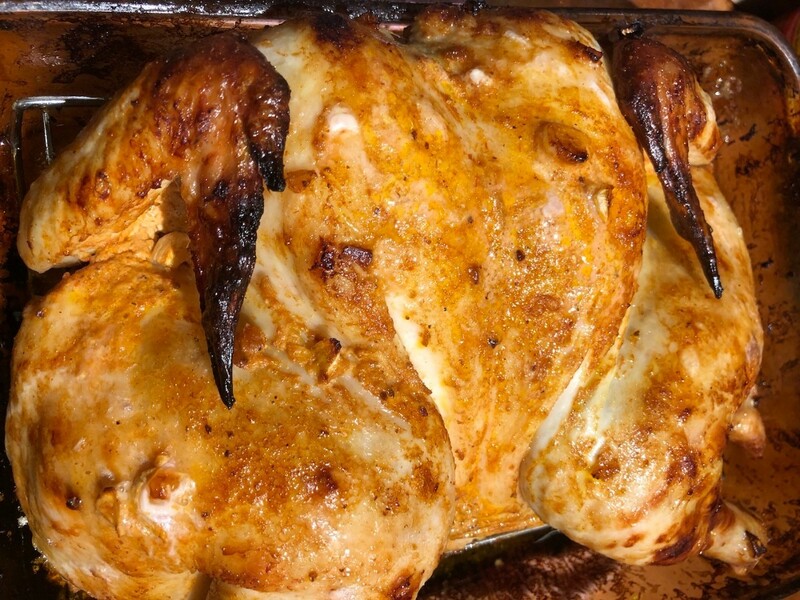 I tweaked an old Lebanese kabob-type recipe and used a whole chicken so I could just marinate it, throw it in the oven, and forget about it. I served it with some warm flatbread and yogurt. 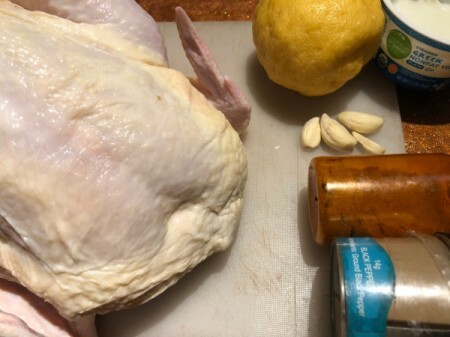 I love using the roasted chicken's super flavourful bones and pieces to make a hearty chicken broth for another meal. 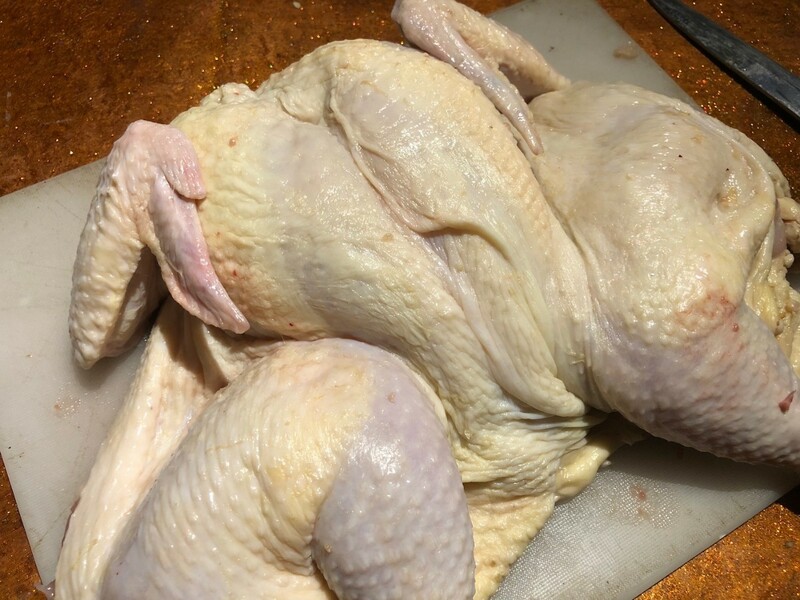 I butterflied my chicken for more uniform cooking. You also get better results for crispy skin this way, if you're into it. To butterfly the chicken, place it on your cutting board breast side down and make a long cut on either side of the spine. Remove the backbone. Flip it over so it lays open. Start making little cuts in the skin and meat so the marinade will absorb when you add it. 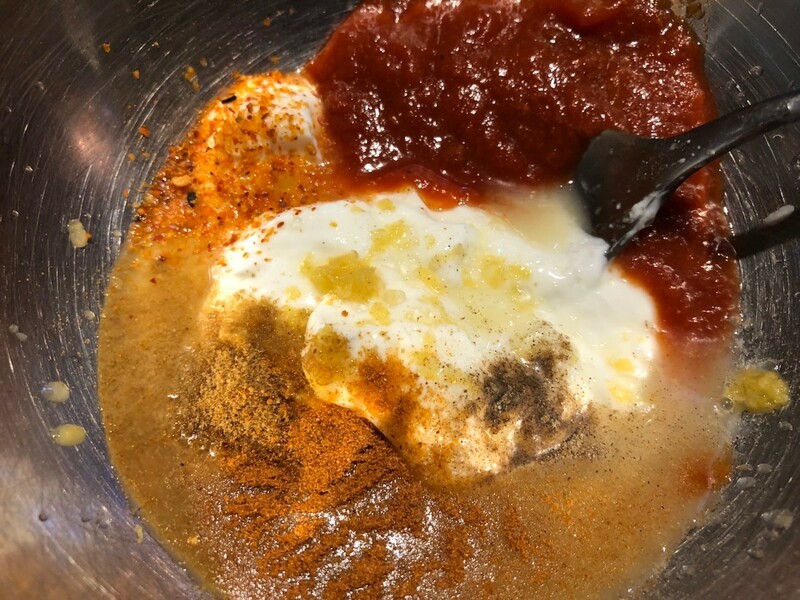 To make the marinade, mix the rest of the ingredients together in a bowl. 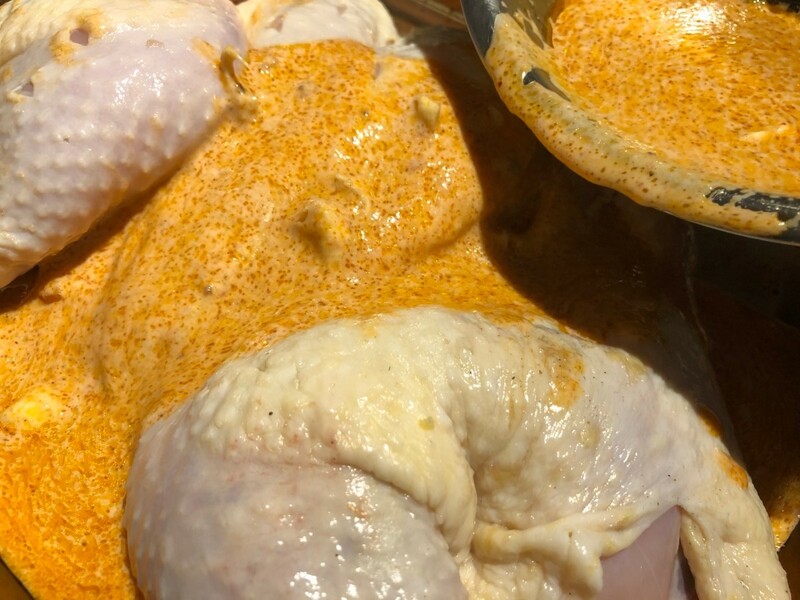 Pour the marinade all over the chicken, making sure you push some into the slits you just made. 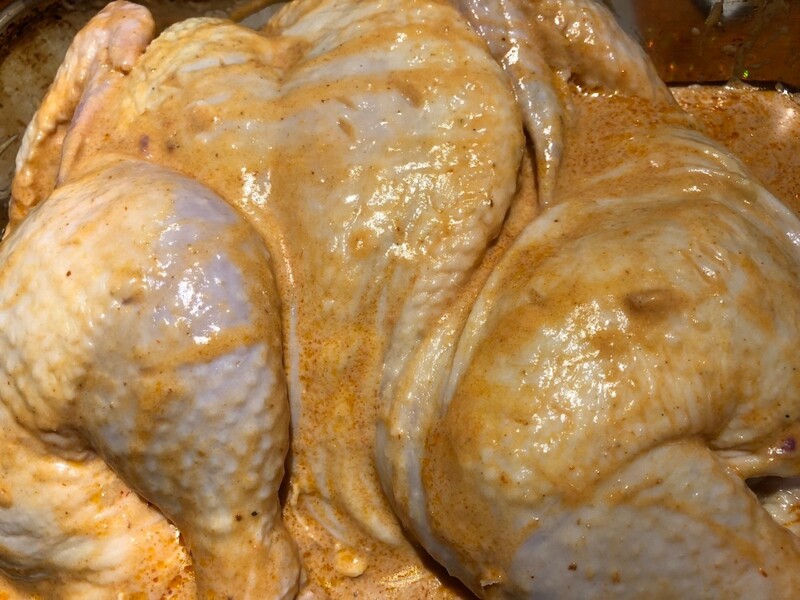 Cover and refrigerate to marinate, 6 hours to overnight. 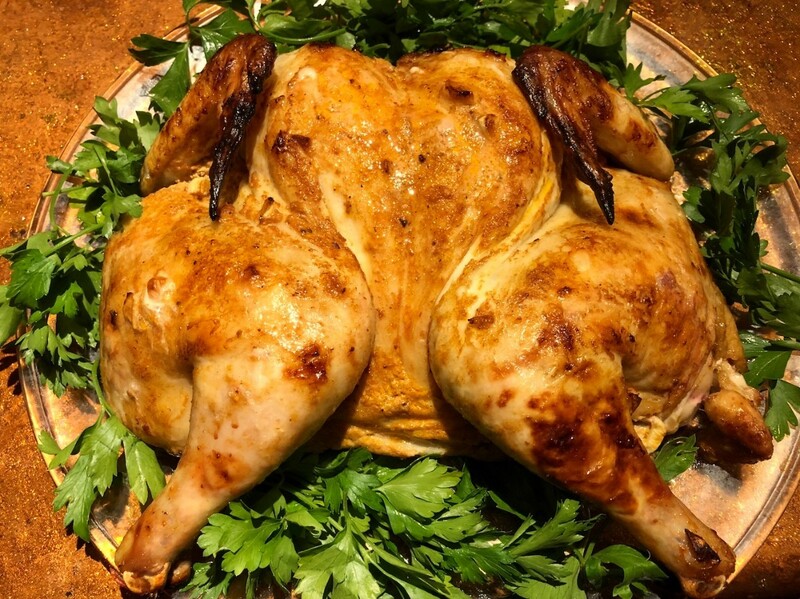 Preheat oven to 400 F. Remove chicken from fridge and place on a baking pan. I used a wire rack under the chicken so the juices would drip down and it would end up more crispy. Bake in 400 F degree oven for first 15 minutes, then drop to 350 F and bake for 45 more minutes, until chicken is cooked through. 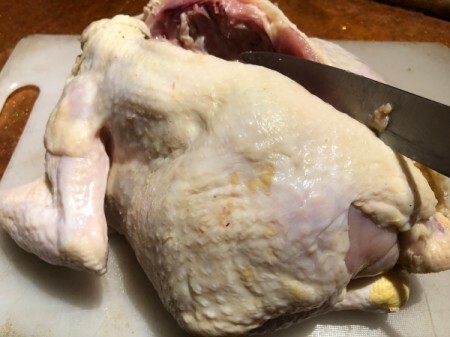 Let rest 10 minutes before cutting.